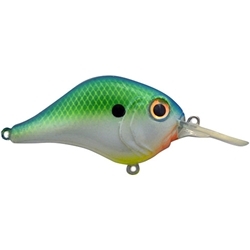 The new Bill Lewis MR-6 Crankbait was designed with Mark Daniels Jr, and made to fish the 6ft depth range. With a 2 1/4in length and 1/2oz weight, this will become a fisherman favorite. This is definitely a bait you'll want to have in your arsenal when it really matters!